Mörrum village, among the biggest in Blekinge, has been the centre of salmon fishing for centuries. The visitor centre has a king-size aquarioum here where they keep some of the largest salmon caught in the Mörrum river. The salmon fish trap diverts water from the main part of the river (top left). 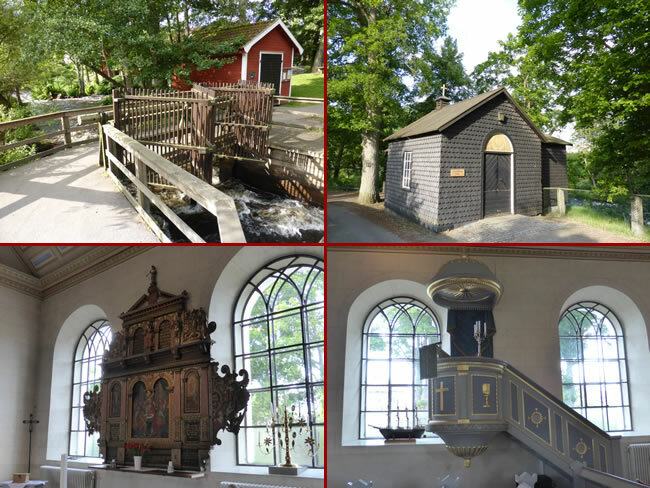 These are some photos from inside the Mörrum-Elleholms parish church (bottom photos).